With supernatural forces, epic romance, and a mysterious Egyptian city, Eleanor and her team are set for an adventure they will never forget. It has been a tumultuous time for Eleanor Fitt since life as she knew it in Philadelphia came abruptly to an end. Although the Spirit-Hunters Joseph, Jie, and Daniel have helped her survive, Eleanor has lost just about everything. And now, Jie is missing taken by the evil necromancer Marcus. Eleanor is determined not only to get her back but to finally end this nightmare. To do so, she must navigate the hot desert streets of nineteenth-century Egypt amid the rising Dead, her unresolved feelings for Daniel, and her volatile relationships with Joseph and Oliver, her demon. And it won’t be easy. Because Allison, her friend from Philadelphia, has tagged along, becoming strangely entangled in Eleanor’s mission. It will take all of Eleanor’s powers of black magic, and all of Daniel’s and Joseph’s trust, to succeed. But there will be a price. Dennard’s series finale [Strange & Ever After] is a fun and rollicking ride. She pairs a wonderful and immersive landscape with a highly twisty plot that will have fans gasping. An emotionally honest, well-earned denouement [Strange & Ever After] brings this lively historical zombie trilogy to an honorable end. 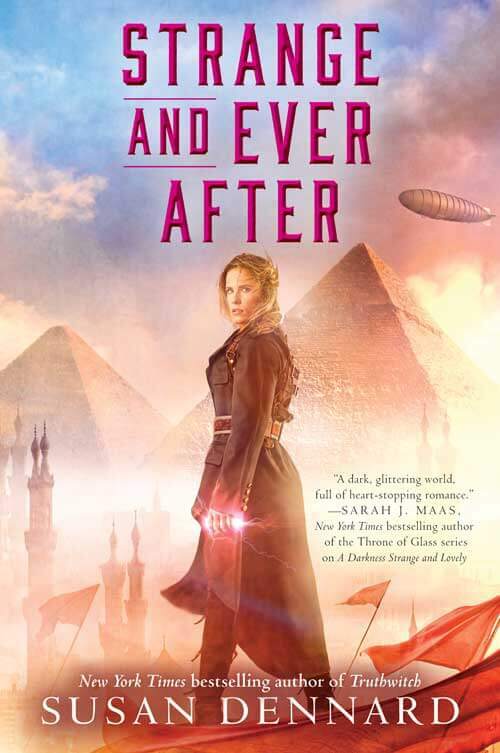 [In Strange & Ever After]…the hunt for the mystical bird and the rich Egyptian backdrop inject enough thrills to make this an exciting, quick read. The author adds dimension to and deepens the characterization of several of the protagonists while exploring the nature of the soul and the human capacity for change…fans of the series will enjoy it immensely.